YA YA MARIN... Her heart and dedication to justice and equity in Belize is heroic....often protesting solo, will not just talk the talk, but will walk the walk. Thank you Ya Ya. A true Belizean Hero. 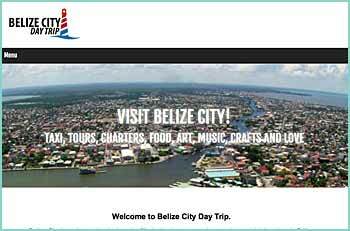 BELIZE CITY, Tue. 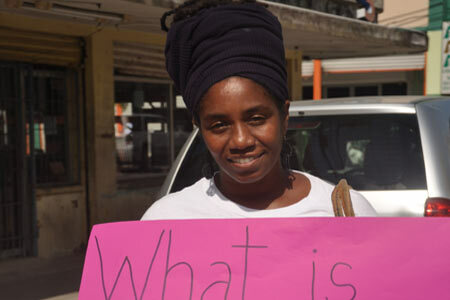 Nov. 4, 2014 –City goers who passed in front of the Precinct 3 Queen Street Police Station today might have noticed well-known activist Yaya Marin Coleman, along with fellow activist Samiyyah Andrewin-Miranda, displaying placards denouncing the terrible conditions at the infamous “Piss House”, which is the name Belizeans use to refer to the station’s holding cells, situated on the ground floor of the police station. 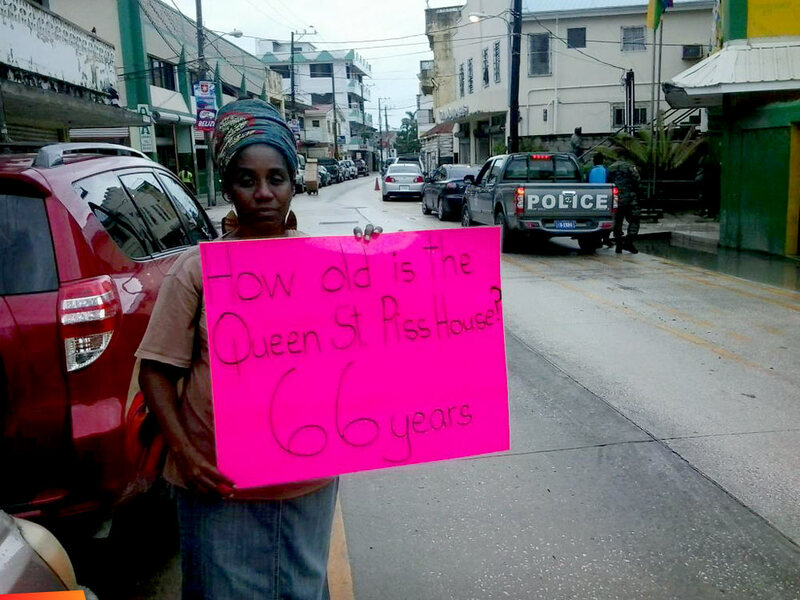 She took up her solitary position on Queen Street, just across from the Queen Street Police Station, which houses the most unsanitary holding cell in the country – which has been dubbed “Piss House” (a title it got even before Belize got its independence in 1981) for good reason. People are locked in there for days at a time, and there are no toilet facilities, nor anywhere to sleep other than the floor, yes, the sometimes very cold floor. One wonders why there has to be a protest, anyhow; can’t the politicians and the senior officers smell what is before their very noses? Ya Ya has been protesting the conditions at the Queen Street Police Station holding cell since the first week of November 2014. Up until now, however, despite a momentary focus of the media on this one-woman protest, the Barrow government has remained noncommittal about improving the conditions at the Queen Street Police Station holding cell, and indeed, at all the holding cells throughout the country. The Chief Executive Officer in the Ministry of National Security, Retired Colonel George Lovell, told 7 News on Christmas Eve that government can, but will not necessarily use funds, to improve the condition of the holding cell. So without a specific commitment from the government that they will address the conditions of the “Piss House” condition, Ya Ya will continue to protest.